The Seneca Sham takes its cue from traditional mountaineer flannel patterns. 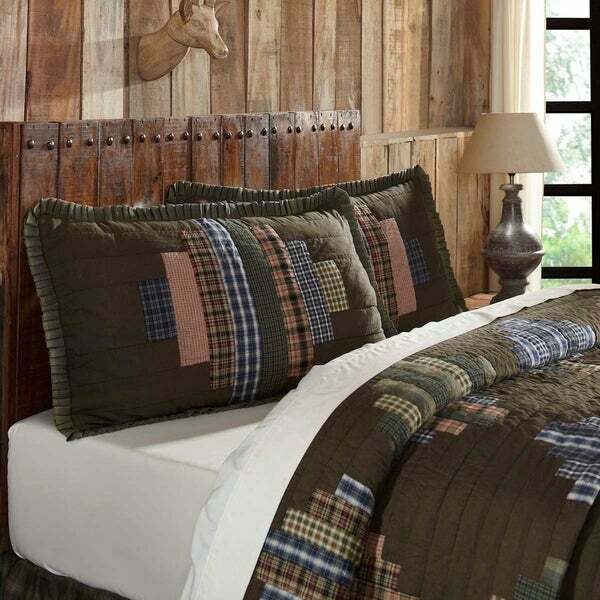 This quilt features an oversized blue, green, and red courthouse step block with accents of white and black on subtle deep brown and black chambray base. The brown and black chambray may appear to have a green tint due to its dark color and appearing next to green plaids. Hand-quilted, made with 100% cotton to capture the natural spirit of the outdoors.